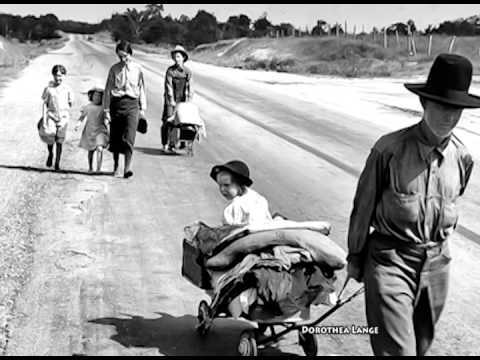 Dorothea Lange (May 26, 1895 – October 11, 1965) was an Americandocumentary photographer and photojournalist, best known for her Depression-era work for the Farm Security Administration (FSA). Lange's photographs humanized the consequences of the Great Depression and influenced the development of documentary photography. Seeing is more than a physiological phenomenon… We see not only with our eyes but with all that we are and all that our culture is. The artist is a professional see-er. “It is not enough to photograph the obviously picturesque. That frame of mind that you need to make fine pictures of a very wonderful subject, you cannot do it by not being lost yourself. During the winter of 1942, in the first heated months of America’s war with Japan, the United States government ordered tens of thousands of people of Japanese ancestry, two-thirds of them American citizens, to report to assembly centers throughout the West for transfer to internment camps.